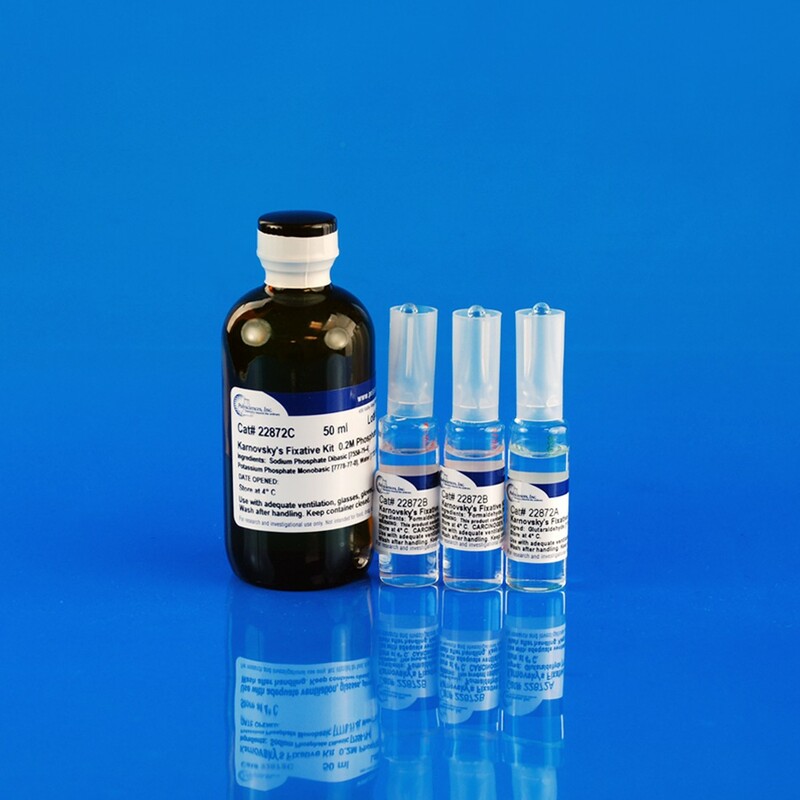 Kit Contains: 1x10ml 50% Glutaraldehyde, 2x10ml 16% Formaldehyde, 1x50ml 0.2M Phosphate Buffer. Packaging size includes 5 kits. 1. Karnovsky, M.J., A Formaldehyde-Glutaraldehyde Fixative of High Osmolarity for use Electron Microscopy. 1. Cell Biol. 27,137 A, 1965. 2. Hayat, M.A., Principles and Techniques of Electron Microscopy, Biological Applications, Third Edition, CRC Press, 1989.